Easily the backbone of your SAVVY home, SAVVY Smart Switches replace your old switches and add remote control in the process. Tap the pannel to turn your lights on and off or use your smartphone or tablet. SAVVY Smart Switch is available in one to three gang options enabling you to control one to three independent lights from one unit. Complete your automation system by upgrading your wall sockets. Our SAVVY Smart Socket allow you to remotely control lamps and small appliances without compromising the aesthetic of your room. Watch and control your home, just as if home were by your side.Check your house in real-time when you are out on a trip.Pull out the video footage and check what happened when there is an accident. 800 Watchdog is the new generation of door lock that can easily be controlled by SAVVY Controller. Open or close your home via SAVVY App anytime from anywhere. Additional functions will protect your home and will give you a sense of confidence. With SAVVY Application you can easily control SAVVY Motorized Curtain from your smartphone or tablet anytime from anywhere. Make your own scenario and program your SAVVY Motorized Curtains to automatically close at dusk as you switch on your lights in the sitting room in the evening or set the a perfect alarm and be woken by your own sunrise at 8:00am in your bedroom. Easy way to control your SAVVY Curtain Motor. You can fix SAVVY Curtain Remote Controller in any comfortable place for you. Give your system the ability to automatically react to changes in motion with the SAVVY Motion Sensor. Lights, scenes or configure text message. n the event that the unthinkable happens, you will be glad you have invested in SAVVY Smoke Detectors. In case of any smoke in the area SAVVY Smart System with SAVVY Smoke Detector immediately sends an alert to your smartphone wherever you are. Don’t forget that SAVVY Smoke Detector can also connect to other appliances. SAVVY Sound Light Siren works in action toghether other appliances. Trigger a loud, flashing siren to scare of any intruder with SAVVY Motion Sensor or SAVVY Door Sensor, or let everyone around you know about any smoke in your area with SAVVY Smoke Detector. Or simply use SAVVY Sound Light Siren as a door bell. With SAVVY Extension you can extend and repeat IR and RF signals of SAVVY Controller without a power source, or simply get information about the temperature and humidity of your home on your smartphone or tablet. 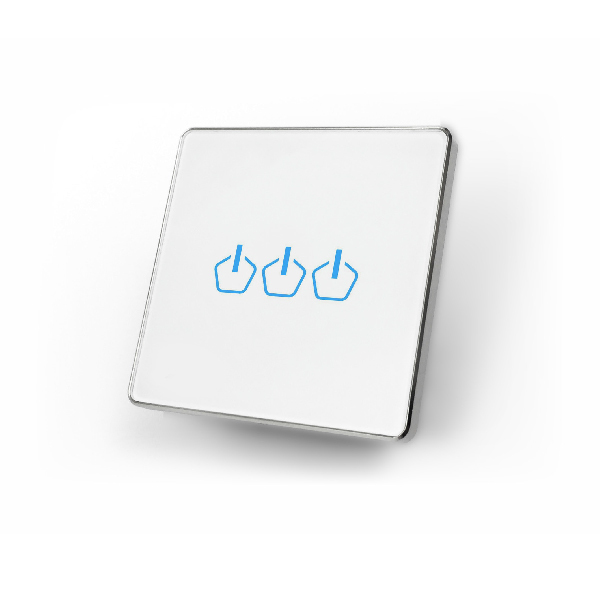 Control multiple home appliances with one button. Even the young and old can handle a smart home easily. SAVVY Macro Panel is a necessary tool to protect your child, parent, wife and anyone you care about. SAVVY Macro Panel is easy to carry around with you. SAVVY Smart Socket and SAVVY Smart Switch are available in any color of your choice. By special order we can implement any idea in any color solution that can suit any design – or imagination.